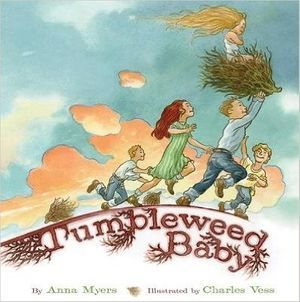 A large, loving family in the 1930s Dust Bowl finds a “tumbleweed baby”—a wild baby—in the plains near their cozy farm home. The baby’s new siblings discover the ways she fits and doesn’t fit into the family, ultimately deciding that her wildness makes her one of them. The rhythm and voice of the text make this feel like a classic tall tale, and it pairs perfectly with the dreamy, warm art from master illustrator Charles Vess. One night, under the cover of darkness, Robby Hare’s father forces him to help rob a grave and sell its contents to the nearby medical college. Although Robby is fascinated by the information he knows the doctors will gain from the bodies, he is horrified by his gruesome mission and will do anything to avoid another trip to the graveyard. Robby’s wish is answered the day William Burke and his daughter, Martha, come to live at his family’s boarding house—and he might even have a new friend in Martha. But Robby notices something dangerous about Mr. Burke and suspects that the man is involved in a broader web of evil—possibly even murder. Can Robby expose his scheme before innocent lives are lost? In an exciting journey through the streets of Philadelphia in the 1800s to the halls of the nation’s first hospital and the frontiers of medical research, Anna Myers weaves a thrilling tale of mystery and adventure. An orphan named Drucilla has finally has a place to call home with the Putnam family in Salem. 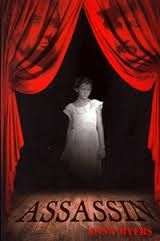 Although her adopted mother is strange—haunted by a troubled past—Dru feels drawn to her as the mother she never had. 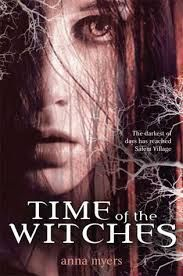 When a new reverend and his family move into town with their servant Tituba, life takes a strange turn as young girls begin to fall ill and accusations of witchcraft begin to swirl. Reluctant to turn her back on the Putnams or her peers and overwhelmed by the power of groupthink among the other girls in town, Dru becomes one of the accusers herself. But when her best friend Gabe is accused, she must find a way to end the hysteria, or risk losing him forever. The day he buried his pa, Nobe Chase lost everything -his father, his home, and his dog, Rex. Worst of all, he had to move into town to live with Sheriff Leonard-dog killer, wife stealer, and secret law-breaker of all sorts. That day, Nobe found a new purpose for his life - revenge. Hate takes over his life, burning inside him out of control. 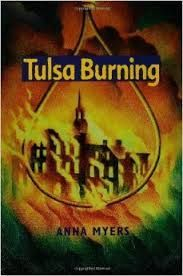 Nobe learns how dangerous hate can be when it is unleashed in a fury of fire and Gunpowder during a race riot in nearby Tulsa. When the violence spills into his hometown of Wekiwa, Nobe must decide what kind of man he is going to become - one driven by vengeance or one driven by courage. Based on true events in Tulsa, Oklahoma, during May of 1921, this is a novel about a young man who must wrestle with his past and find the strength to pull free from the poisonous grip of hatred and abuse. Stewart has plenty of reasons to dislike his new art teacher, Wanda Gibbs. 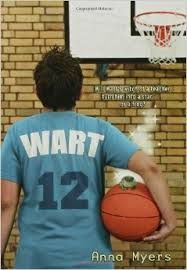 Not only did she give him the awful nickname “Wart” at school but she has also started dating his dad. She must have placed his dad under some sort of spell, which is entirely possible since, according to her very own son, she also happens to be a witch. But nobody, including Stewart’s father, will believe this outlandish accusation, even though Wanda suggests that if Stewart will support her, she might use her magic to his benefit. Stewart can’t help but notice his athletic ability mysteriously improves every time Wanda shows up at his basketball games. Is it really magic, or is it just Stewart’s imagination? It’s going to take a lot of ingenuity to solve the mystery of Wanda Gibbs. Maggie McKenna loves the sea. One of the best things about living in Galveston is being able to swim in the gulf and walk along the seashore with her father. Maggie wishes those special times with her father would never end. She knows she's wrong to be jealous of the new baby that's coming, but the bad feelings keep building inside her like a threatening storm. She even resents the time her father spends with Felipe, the Mexican boy from the orphanage who does odd jobs around the house. When her father has to take her mother to Houston to see the doctor, Maggie is left behind to struggle with the jealously that is sweeping away her common sense. But soon she is facing the battle of her life when the very sea she loves, stirred up by one of the most powerful hurricanes of the century, ravages Galveston, destroying homes and lives in a powerful and violent flood. Her only chance at surviving through the night is to join forces with Felipe as they try to ride out the storm together. Bella isn't evil. But even people with good intentions can end up doing bad tings. Especially when they meet people with the power to influence them to do almost anything, like John Wilkes Booth - the most charismatic and famous actor of his time. So, when Booth sets his sights on Bella, an assistant seamstress to Mary Todd Lincoln, to help with his plot agains President Lincoln, he is able to persuade her to betray both her beliefs and the boy she loves. Deep down, Bella still knows right from wrong, and she ultimately puts her own safety on the line to save the President. But it's too late for Booth to turn back, and he won't let anyone stand in his way - even if it means hurting Bella. For Nathan Hale, it was never a question that he should stand up against the king's rules if he believed them to be unjust. As his father lay dying, Jonah Hawkins promised he would remain loyal to the king and never join the patriots in their resistance. But that promise isn't easy to keep after he meets his new teacher - Master Nathan Hale - who inspires Jonah to learn and think about the nation's growing turmoil. As the time for war draws near, the patriots call on all men to fight, and Nathan must leave to battle the British Army. But Jonah's and Nathan's paths will cross again, and when they do, Jonah will finally be forced to choose where his loyalties truly lie. Spy! is the story of one man's ultimate sacrifice for his country and one boy's awakening courage. It is 1878 and a yellow fever epidemic has turned the boisterous city of Memphis solemn and fearful. The fever has taken Eli’s mother and sister and driven his grieving father away. All alone, he vows to harden his heart against further loss. Yet, Elis is soon drawn to Grace, an angelic, otherworldly child known as the “Graveyard Girl.” Grace tolls the bell for each new dead soul in the cemetery. Sometimes it seems to Eli that Graces is the one good thing left in a city drowning in despair, and her kindness and warmth slowly begin to thaw his resolve. 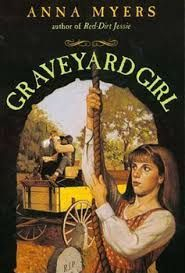 When Eli is sought out by Addie, a little girl even more vulnerable than himself, the Graveyard Girl urges him to let go of his own grief and open his heart to her. But even the Graveyard Girl may not be able to help when Eli and Addie begin to experience ghostly visits from their dead loved ones. Howard Gardner is starving to death. All spring and summer, Howard and his older, stronger brother, Jack, worked as hoggees, driving the mules that pulled boats along the Erie Canal. But Jack has gone home for the winter, and Howard has gotten himself into serious trouble. In a misguided attempt to outshine his brother, Howard stays behind in Birchport to save his traveling money and send it home to his family. After his winter job falls through, Howard must burrow next to the mules in the barn for warmth and fight the wild dogs for scraps of leftovers from the inn. Howard fears, with reason, that he might not survive the winter. As desperate as Howard is, he is haunted by the sadness he sees in the eyes of Sarah, the granddaughter of the man who keeps the mules. Sarah never speaks and seems to be disconnected from the world around her. Sarah’s family knows that she has a problem, but they refuse to talk about it. Howard longs to help Sarah in any way that he can, and his quest to do so ultimately shows how he truly compares to his brother. In Denver, Robin (a.ka. Bird) is in with the cool clique. They wear the same clothes, talk the same way, and pick on the same girls. But when her Mom hears about a cruel prank against a less popular girl, she isn’t going to tolerate the Queen Bee behavior. Within 24 hours, she pulls up stakes and moves them both to Prairie Dog, Oklahoma. Bird is positively furious, and she’s going get revenge on her hippy artist mother. In fact, revenge is the only thing keeping her going in the remote town. How she’s going to get it, though, she’s not sure yet. When she goes to register at the local middle school, she’s mistaken for the interim school principal. Who is Bird to correct the mistake when a prank like this will really get payback on her mom? Though she won’t be able to pull this off forever, Bird’s determined to make her mark on the middle school before she’s found out. 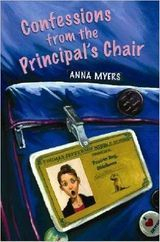 But life in the principal’s chair is going to give her quite an unexpected change in perspective. Ben Riley is growing restless. He loves his adopted father, Professor, but he doesn’t want to sell the “magic” herbal elixir they promote in their traveling medicine show forever. He wants to study and practice real medicine - but how can he if it means leaving his father? Murphy, the pet macaw Professor has raised since before Ben was born knows what Ben must do. A self-proclaimed “seer,” Murphy receives a powerful message that he, Ben, and Professor must journey to Florida. Once they arrive in the Everglades, Murphy begins to realize the danger that awaits them there. Tens of thousands of egrets are being killed for their beautiful feathers, which adorn the hats of all the most fasionable women. Ben and Murphy know the killing must be stopped, but the lines between right and wrong become seriously blurred when Ben takes under his wing two orphans who rely on the feathering to stay alive. When her father's plane is shot down behind enemy lines in World War II, everyone in Gail' s small Oklahoma town believes he's dead. Everyone but Gail's mothers, who refuses to believe the worst, hoping to keep him alive by sheer faith alone. Gail's uncle Ned had already lost his faith when he was blinded earlier in the war. Now the loss of his brother is more than he can bear. And, though Gail's father had asked her to watch out for him, Ned's bitterness keeps driving her away. The only one who seems to break through Ned's shell is Captain, the golden retriever Gail's father gave to her before he left. With the other adults in her life unable to help him, it's now up to Gail and Captain to save Ned from his drive for self-destruction and to restore his faith in his family and his future. Ethan is different. He is gorgeous, easy to talk to, and a uniquely gifted pianist. But his musical talent is both a gift and a curse. The doctors label him a schizophrenic, as he claims to have been taught by a long-dead, nineteenth-century composer. Clare doesn't know what to believe, but she's determined to help Ethan find out the truth about himself, even if means having little time for anything else - including her best friend, Liz. Before it had always been Clare and Liz against the world. Now Ethan is all Clare can think about, even though her father thinks fifteen is too young to date. Liz, feeling completely betrayed by her best friend, reveals Ethan's secrets and sets in motion a tragic turn of events that ripples throughout the entire community. Ophelia knows she has to make it work with this new foster family. She's been through too many homes since a terrible tragedy left her alone and emotionally isolated, and the state is not going to move her again no matter how unhappy she might become. So when her new foster mother asks her to take a job reading aloud to Portia McKay, an elderly neighbor, Ophelia grudgingly agrees. At first Ophelia only goes because she gets paid. But as they get to know each other, Portia and Ophelia discover that they have much more in common than their Shakespearean names. They both have horrible secrets that they have never shared with another living soul. And it seems that this unlikely friendship may be just what they both need to break free of their emotional prisons. When Colonel Joesph Kershaw leaves Camden, South Carolina, to lead the American rebels in their struggle against the British, he leaves his son Joey behind to fight the enemy on his own home turf. As much as Joey fears the dreaded Redcaots, he is more afraid that he may not be able to fulfill his father’s expectations. Try as he might to protect his family, the horrors of the war reach right up to Joey’s doorstep. General Cornwallis marches into town and makes Joey’s house his headquarters. Soon after, the hanging of American prisoners begins in the family garden. Although his mother urges quiet perserverence and Euven, his Quaker teacher, is against violence of any kind, Joey feels that he must strike back at the hated enemy. Joey’s determination to avenge his countrymen and earn his father’s respect places the lives of all his loved ones in jeopardy. But Joey is willing to risk all for a chance at revenge - until one British soldier proves that there are decent men on both sides of the struggle. Sixteen-year-old Hallie can’t imagine what could be worse than the emptiness she feels after the loss of her mother. But with seven other siblings to care for, she has little time to wonder about the world beyond her mountain. Then World War I shatters the peace of tiny Lafine, Oklahoma - stealing away Hallie’s brother Starlin and bringing a mysterious draft-dodger searching for refuge in the hills surrounding her home. Nobody can escape from the war and the fear it brings to Hallie’s neighbors. Soon fear changes to hatred, turning friends into enemies and a stranger into a savior. Although the Depression years are finally behind Jessie and her family, Jessie's father can't afford to send her to college - something Jessie yearns for more than anything in the world. Night after night Jessie and Pa fight the same battle. Jessie's younger brother, H. J. knows how she feels. The trapped look in her eyes reminds H.J. of the haunted yellow eyes he saw staring out at him from the leopard's cage at the Oklahoma City Zoo. Thinking the world of his older sister, H.J. wishes there was something he could do to help Jessie. Then one day, Lucky, the leopard, escapes from the zoo, slowly making his way to the fields near H.J's home. Pursued by zoo officials and local hunters who want him captured dead or alive, Lucky is in danger. But H.J. 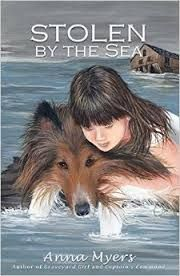 and his dog , Ring, have a plan - one that could save Lucky from his prison and free Jessie to fulfill her dream, all at the same time. Rosie's older brother, Ronny, means the world to her, especially since their mother died. But when Ronny went overseas to fight in Korea, he left Rosie and her father to fend for themselves. Now he's returning from the war with a Korean wife and her young son, and Rosie fears she will lose him forever. Maybe her new friend, Cassandra, with her strange confidence and claims to magical power, can help Rosie keep Ronny for herself. Rosie has no doubt that Cassandra's magic is real, but getting rid of Huyanni and Young So is a big request - and sometimes you have to be careful what you wish for. A farm can be a lonely place when it’s filled with grief and worry. After Jessie’s little sister dies, her father just gives up on life. Caring about nothing, he sits and rocks all day long in grandmother’s old chair. With her mother struggling to keep the family afloat during the hard days of the dusty Depression, it is up to Jessie to breathe some life back into her family. But how can a twelve-year-old girl pull her father out of his chair and back to the land of the living? The answer comes to her in the form of Ring, a one-hundred-pound dog that was abandoned on a neighboring farm. Wary of people, Ring refuses to accept Jessie’s friendship or assistance. But Jessie is determined to win Ring’s trust. She just knows that if she can tame a fine dog like Ring, together they will have the power to heal her father’s broken spirit. 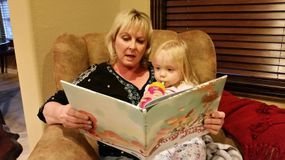 Anna's niece, Dena, reads Tumbleweed Baby to her granddaughter, Anna's great-grandniece, Hadley.